1. Ensure that all the ingredients are at room temperature. 2. Line the sides and base of the cake tin. 3. Preheat oven the 160C (fan). 1. Soak the dates in the cold tea for 24 hours (optional but the flavour is better). 2. Place dates and tea in a pan and bring to the boil. 3. Cook on a high heat for approx. 10 minutes till the mixture goes soft and ‘gloopy’. 4. Remove from the heat and thoroughly mix in bicarbonate of soda. 5. Set aside and leave to go completely cold. 1. Cream the butter and sugar till soft, light and fluffy. 2. Break the eggs into a measuring jug and lightly beat together. 3. Gently pour eggs into the mixture and beat well. 4. Add the vanilla extract and beat well. 5. Fold in the cold dates mixture till just combined and no more. 6. Fold in the sifted flour till just combined and no more. the oven door before then. 9. 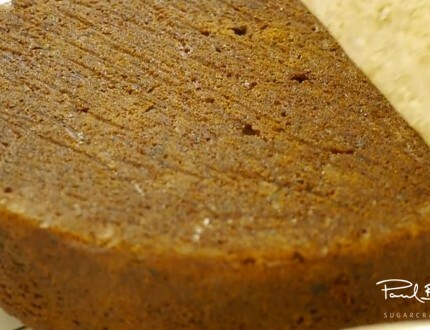 Remove the cake from the oven and leave in the tin to cool for 30 minutes. 10. 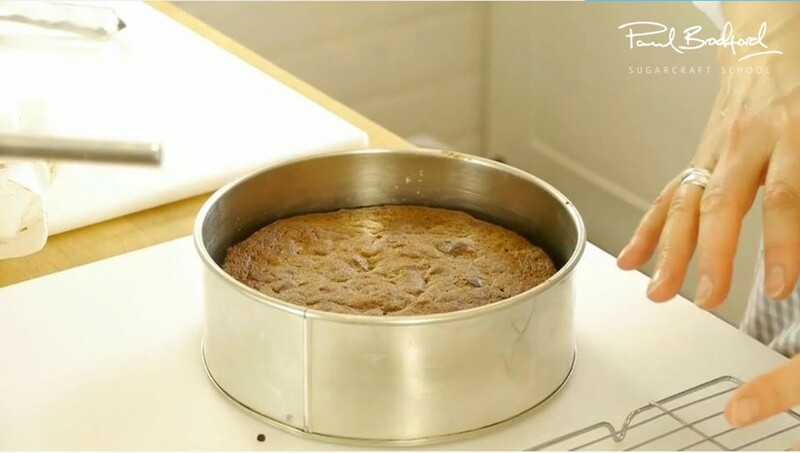 Turn the cake out onto a wire cooling tray and leave to go cold. 11. Wrap in cling film and place in the fridge for 24 hours till ready to use. 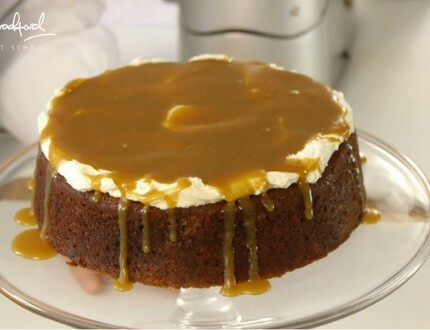 over the top and drizzle on your own cold caramel or toffee sauce. Yummy! Baking superstar Mrs Jones of www.mrsjonescakes.co.uk is here to teach us how to make her super tasty toffee cake recipe. The cake has been in high demand for many members of the site and we’re certain it’s worth the wait! 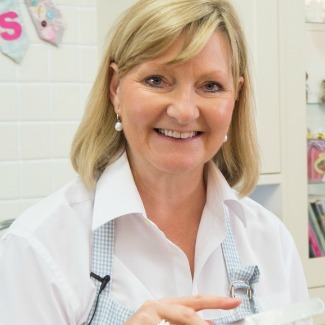 If you have a question about quantities, the recipe or method then pop a question on our Q&A Page here. 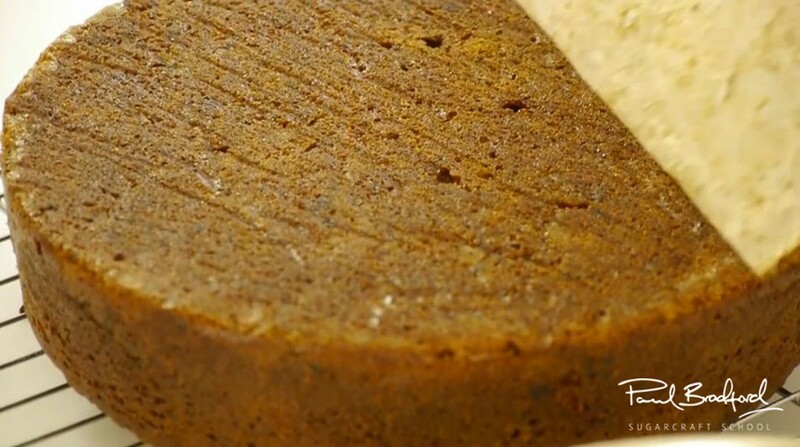 This recipe is for a 8″ Round cake baked to a depth of 3″ or just under. Baked in an Invicta cake tin 4″ deep. Need to bake a different size? 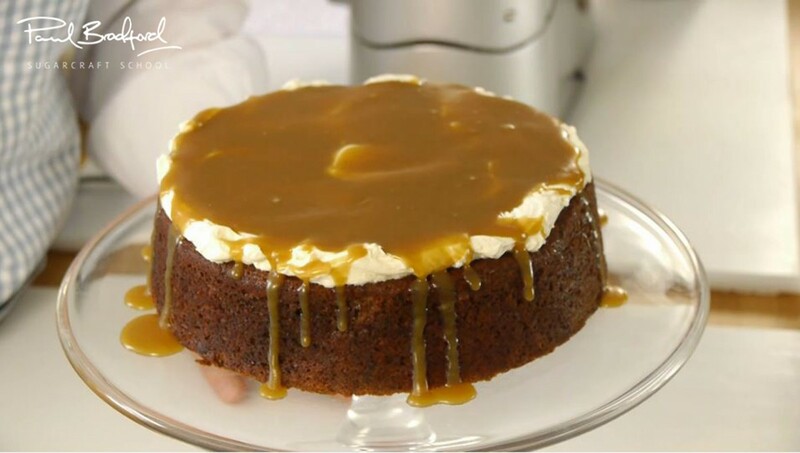 Use our Cake Recipe Re-Calculator, find the Toffee recipe then select your new bake size.